If you haven’t seen Larry Tuttle’s rendition of the gybe stopper it is a great idea. 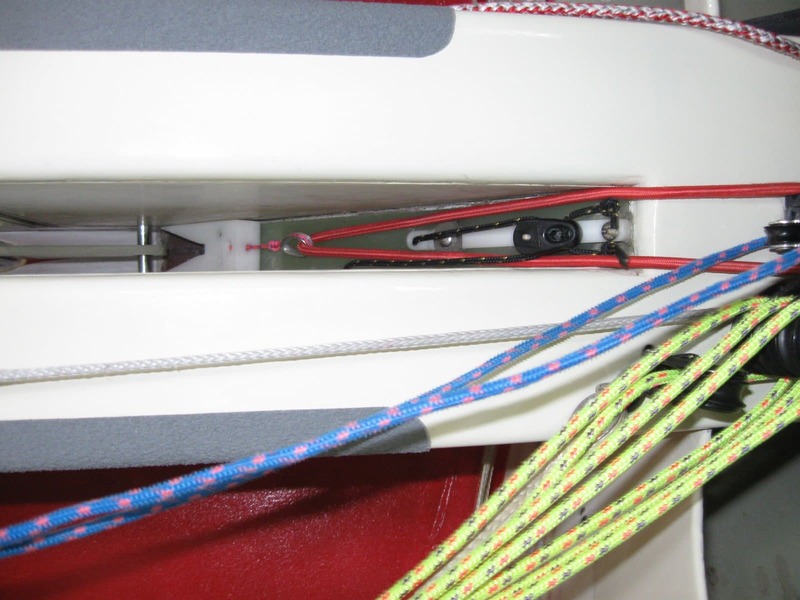 A gybe stopper that you can control the amount of gybe angle and make this adjustment via a control line that can be led virtually anywhere in the boat. Here are some pictures of my version(total copy) of Larry’s system. I rigged the control to be fully contained withing the CB trunk so it would not interfere with my other systems. 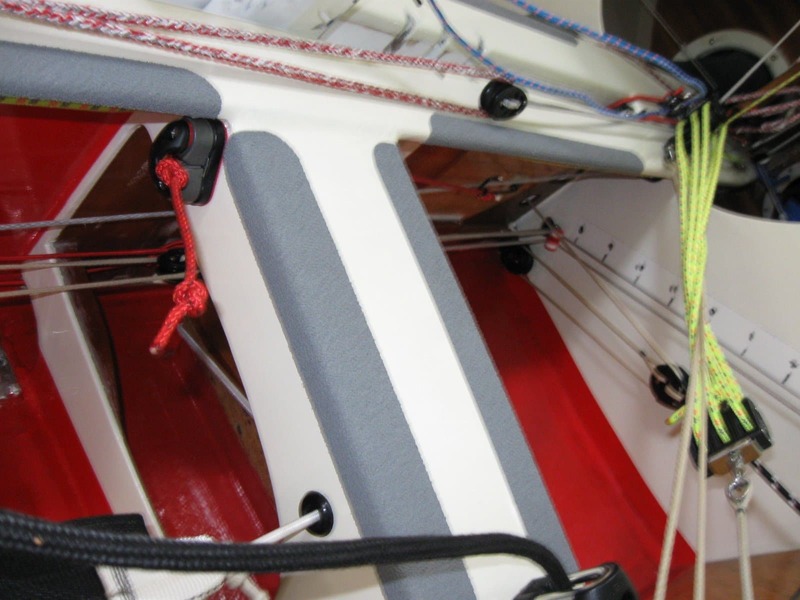 With the stock Waterat installation you need to mount the vang termination quite high on the mast which decreases the the mechanical advantage. I led the control line just aft of the forward thwart because it was the easiest place I could rig it. 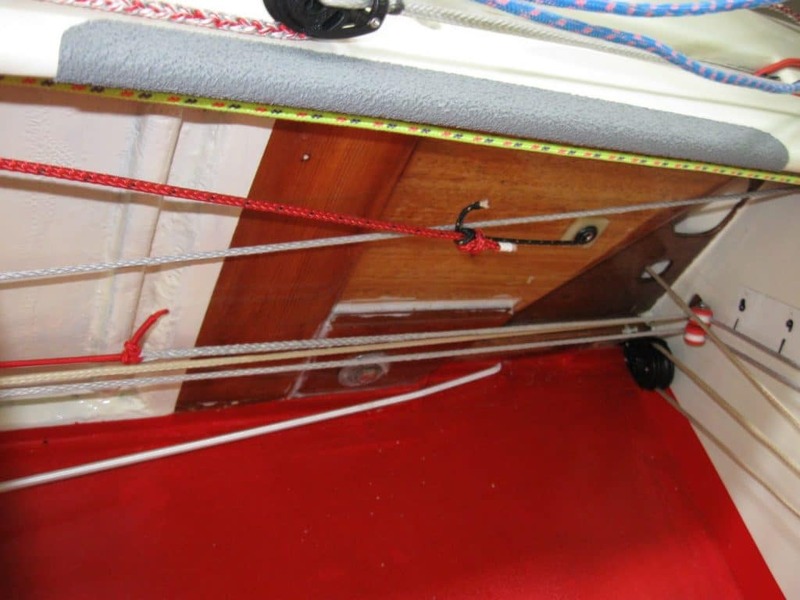 I think ideally it would be slightly further aft so the skipper could make the adjustment.